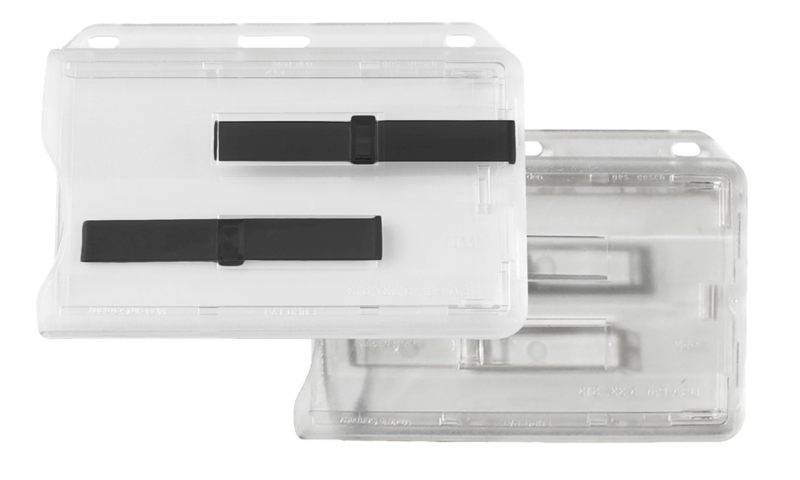 Fits two credit card sized inserts in two separate compartments. Side load and easy relase of the card thanks to plastic sliders on each side of the holder. Clear front face and frosty back face (hides sratches and eliminates glare). Slide out your ID or access cards! Made of durable, fire-retardant polycarbonate. UV protection prevents print fading for less frequent card replacement. Features an extractor slider on each side of the holder.